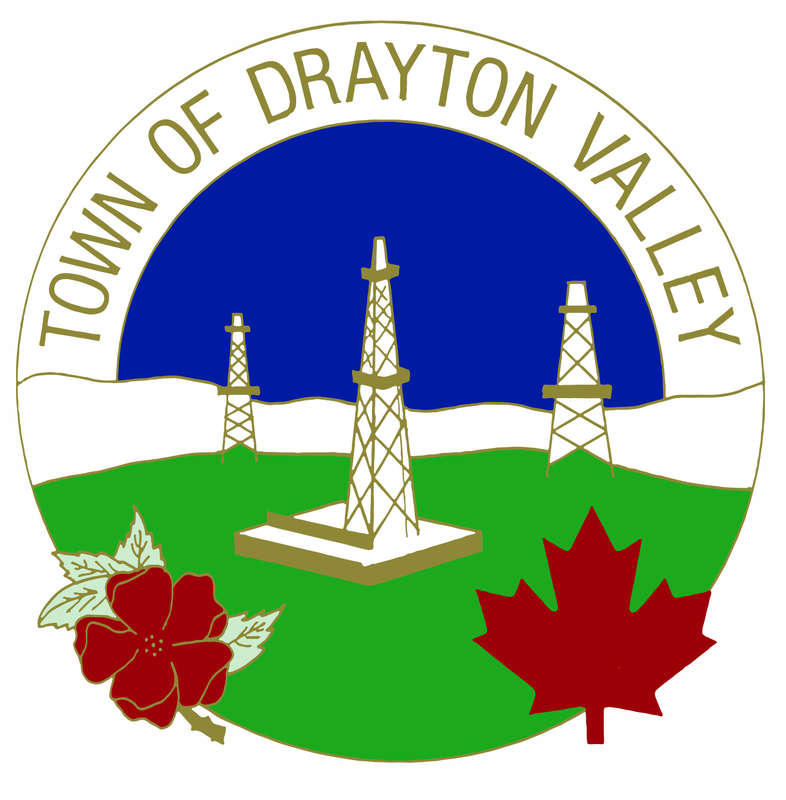 The Town of Drayton Valley’s brand and logo were officially adopted by Council at the June 22, 2016 Council meeting. The brand and logo create a strong identity for the Town, one that will reflect our changing community and resilient population. The new brand will serve to differentiate Drayton Valley on a Provincial, Federal and global scale as the Town strives for a diversified and sustainable future. We exist for people who believe in the power of hard work and we nurture success for our community whether it relates to infrastructure, business, friendship, family or philanthropy. We are spirited and resourceful and as a result we will be described as catalytic, supportive, sustainable, enterprising and rewarding. Supportive: An interconnected network of people, businesses and organizations reside in Drayton Valley that collectively contribute to the vibrancy and prosperity of the community. 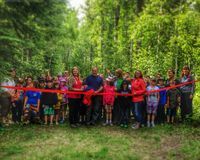 Sustainable: Drayton Valley is dedicated to building a sustainable future for the community. Enterprising: We are energetic and passionate about getting things done and are not scared to get our hands dirty or work hard. 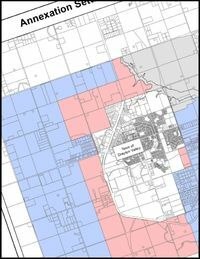 Rewarding: In Drayton Valley, the more you put into the town, the community and the businesses that operate here, the more you get out of it. Drayton Valley is resilient, we are passionate people driven to achieve. We speak confidently, we are assertive, and we are proud. Our entrepreneurial spirit keeps us motivated – always future-facing, striving for ways to innovate and improve. We are welcoming and sincere without being warm or fuzzy. Our sense of community is strong, loyal, and supportive. When we speak it is to the point, authoritative, and always positive. Drayton Valley welcomes you with endless opportunities. It is an extension of our brand , and is an official mark used for day-to-day administration and business activities. The starburst form represents Drayton Valley’s catalytic nature and enterprising energy, we believe in hard work and like a gear in a machine, work together for the better of our community, combining the starburst and gear creates a sun-like shape, which illustrates our sustainable future and resourceful outlook, adding a horizon line references the physical landscape as well as the new horizons that Drayton Valley is embarking on. Our community is an interconnected network of people, businesses and organizations that collectively contribute to the vibrancy and prosperity of the community. Our drive to succeed in everything we do – our innovative, sustainable future – is all possible through hard work, by who we are, and by each of us coming together to support our neighbours and our community. 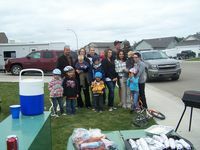 Drayton Valley’s success is built on the collective successes of everyone living and working in the community, by pulling together, the community and its residents are stronger and more resilient. 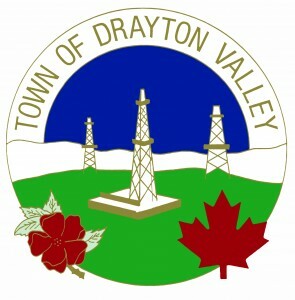 The Town of Drayton Valley’s crest, which was approved on April 2, 1987 as per Bylaw 87-05 and received Ministerial Approval from the Province of Alberta on May 13, 1987, will still be used by the Town for official documents including, but not limited to, Agreements, Bylaws, Policies, and letters and official documents from the office of the Mayor. The design reflects and celebrates Drayton Valley’s history and heritage. The crest will be reserved for official use by Mayor and Council.